Art Walk 2017 is Here! Today’s the first day of Art Walk. I’m heading to the studio now, and hopefully I’ll be seeing you all later today or tomorrow. Our building, The Picker Artists, at 3 Pine Street here in Nashua, is open and ready for all of you! 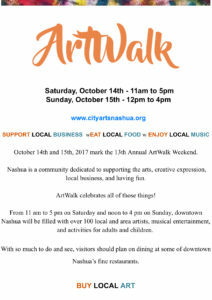 Art Walk, our city-wide arts event in Nashua, is so exciting for us. The first one with all of us in our new location. Please stop by, we are Number 21 on the map below! 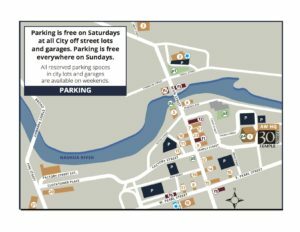 For a printable map, go to cityartsnashua.org. See you later ! !